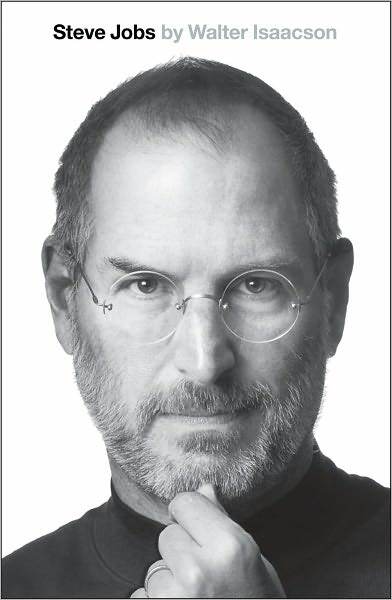 Like everyone else, I started Walter Isaacson’s Steve Jobs biography today. It’s wonderful. In the first pages, Isaacson gives a sense of how Jobs both viewed himself and was viewed in his place at Apple: “When he was restored to the throne at Apple [. . . .]” How many companies could see their CEOs as occupying thrones? Almost no one has or had the medieval level of control Jobs did over Apple. But he didn’t exercise that control capriciously: he used it to make things people want. Lower on the same page, Isaacson describes his unwillingness to write on Jobs at first, but he says that he “found myself gathering string on the subject” of Apple’s early history. “Gathering string:” it’s something I do all the time, using the methods Steven Berlin Johnson describes in this essay about DevonThink Pro. One imagines the string eventually being knit into a sweater, but first one has to have the material. A page later, Isaacson says “The creativity that can occur when a feel for both the humanities and the sciences combine in one strong personality was the topic that most interested me in my biographies of Franklin and Einstein, and I believe that it will be a key to creating innovative economies in the twenty-first century.” By now, such an assertion is almost banal, but that doesn’t mean it isn’t right and doesn’t mean it shouldn’t be asserted. Whenever you hear someone creating the false binary C. P. Snow discusses deconstructs in Two Cultures, point them to Jobs, who is merely the most salient example of why there aren’t two or more cultures—there’s one. You can call it creative, innovative, human-centered, discovery-oriented, bound by makers, or any number of other descriptions, but it’s there. It’s not just “a key to creating innovative economies in the twenty-first century,” either. It’s a key to being. Good. I wonder if Jobs had “input” in the paper quality too. Sometimes I wonder if publishers are themselves trying to encourage people to adopt eBooks through the use of lousy paper stock and spines in books, especially hardcovers. Take Steven Berlin Johnson’s excellent book, Where Good Ideas Come From. The cover is black, with yellow text shaped like a lightbulb. Excellent design. But the pages themselves are a brownish gray, like newsprint, and the glued binding feels flimsy. The paperback is probably worse. It’s not the kind of book one would imagine Steve Jobs allowing, but the state of Johnson’s book as a physical object indicates what publishers value: cutting corners, making things cheap, and subtly conveying to readers that the publisher doesn’t care enough to make it good. Publishers, in other words, are ruled by accountants who probably say that you can save $.15 per book by using worse paper. Apple was ruled by a megalomaniac with a persnickety attention to detail. People love Apple. No one, not even authors, love publishers. The reasons are legion, but when I think about what a lot of recent books “impute” to the reader, I think about how Steve Jobs would make them do it differently if he could. If you’re reading this in the distant future, the idea of reading words printed on dead trees is probably as strange to you as riding a carriage would be to me, but for now it matters. And, more importantly, I think books will continue to exist as physical art objects as well as repositories for knowledge as long as the Jobs and Isaacsons of the world make them. I’m not far into the biography and feel the call of other responsibilities. But I leave Steve Jobs reluctantly, which happens to too few books of any genre. And I have a feeling that thirty years from now I’ll be reading an interview with some inventor or captain of industry who cites Steve Jobs and Steve Jobs as inspirations in whatever that inventor accomplishes. Like everyone else? Not me, for one. I don’t read auto/biographies of business people. I didn’t read the ones on Lee Iacocca or Bill Gates, and I have no interest in the one on Jobs. In fact, I don’t read very many biographies at all. The few exceptions are usually literary figures, or historical figures considerably more than three weeks deceased. But I especially avoid business-related bios. I guess I’m just not that interested, nor do I think I have much in common with billionaires. Count me out on this one.